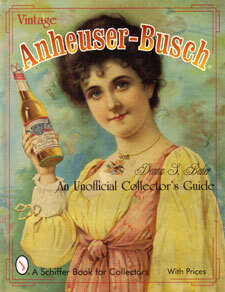 This book is an absolute MUST for anyone who has an interest in Anheuser-Busch -- history, collectibles, or otherwise. Its a beautifully-produced book showcasing Anheuser-Busch's colorful advertising from the late 1800s through the mid-twentieth century -- lithographs, signs, trays, calendars, mugs, coasters, corkscrews, matchsafes, jewelry, and more. Over 400 full-color pictures. This book was long overdue!